This was a seminal year in our country, to say the least. What happened in September of 2001 colored forever the way we walk in our world, even think of our world. A large part of that came from the faith of the perpetrators. It has been argued that what happened that Tuesday was an aberration, that the belief system of those men was a gross misrepresentation of that which was born in the Arabian Peninsula fourteen centuries previous. Some stood to challenge that argument. Servant Group International staff and volunteers chose instead to heed the call to love and serve the people of Islam. Here are two ways we did it. In March of 2001, we took a group of American volunteers to three Kurdish New Year’s festivals in Germany. You might not know that the largest number of Kurds outside the homeland can be found in this northern European country (more than 600,000 as of October 2016; by contrast the U.S. most likely has less than 100,000). A German church worked beside us to distribute thousands of “Kurds in the Bible” books to attendees in Hannover and Berlin, all with the goal of helping them realize their Biblical heritage. Only God knows the full impact of those days but seeds were absolutely and broadly sown. What for over a decade has been the flagship of Servant Group’s international work began in January 2001. Well, actually it began a couple of years before that. Our national partner in Kurdistan requested help in gathering English-based materials to teach his children at home. SGI staff was more than willing to help. And over the course of time, the greater community sought the same for their children, leading ultimately to the opening of the first Classical School of the Medes (CSM) in the city of Sulymania, Iraq. 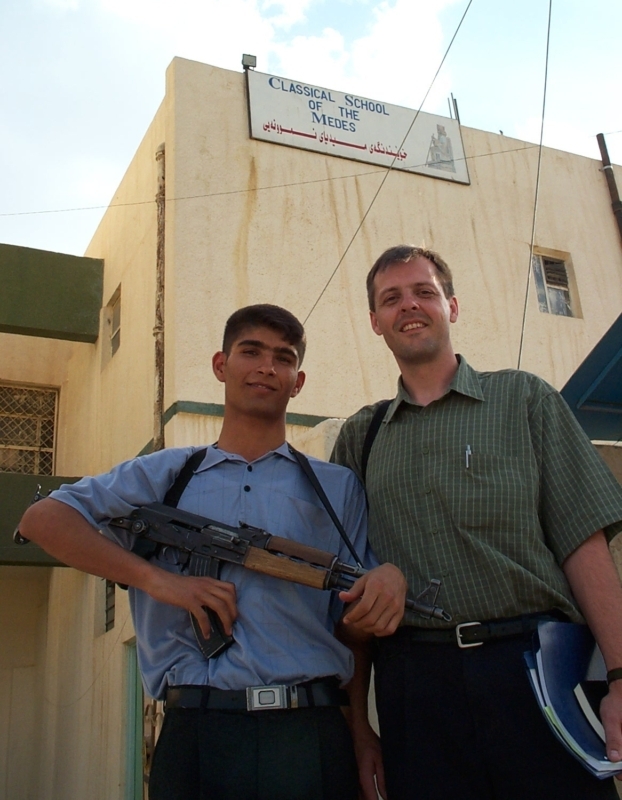 Curriculum development and procurement, and teacher recruitment, training and placement have come from Nashville ever since, offering a Biblical worldview to hundreds of Iraqi students and a place of service for dozens from the western Church. In subsequent posts, more specifics of the life and impact of CSM will be shared. At this point, simply take a moment to thank the Father for all He has done and will do through this strategic work, made possible by so many of you.